End of times Friday? : One version of the Mayan calendar ends on Friday, leading some to think that's a prediction of the end of the world.Courtesy LaslovargaYou can't escape the hype. Late-night comics are joking about it. Retailers are having special promotions for it. New agers are nervous. It's the most common reason this week for procrastination. 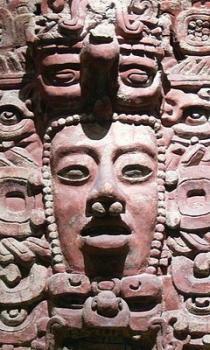 This Friday -- Dec. 21, 2012, -- is the final day of the Mayan calendar. Some say the ancient Mayans believed the day would mark the of the world. Calamities will ensue, the Earth will break apart and life as we know it will cease. So who are some of the least worried people about this possible Mayan Apocalypse? Modern-day Mayans. 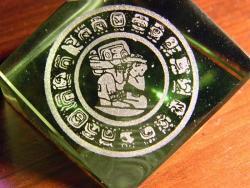 This article talks to Mayan descendants in Mexico who point out that there were many forms of Mayan calendars. Everyday working stiff Mayans, who were mostly farmers, lived their daily lives under a calendar system much like ours today that was based on seasons and astronomy. Those calendars would run out, but had a system of regeneration. The apocalyptic calendar that some are fretting about this week was only used by elites and priests. And like our leaders of today, do you think they really knew that much more than the average Mayan working out in the field? Are you worried about the Mayan Apocalypse? Are you planning to do anything special to mark the day on Friday? Share your thoughts here with other Science Buzz readers. But play it safe and don't wait to do it until after Saturday. Did the Earth Have a Near-Miss with a Fragmenting Comet in August, 1883? 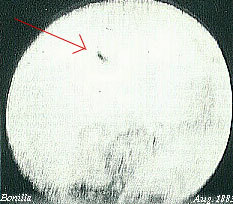 In August, 1883, Mexican astronomer Jose A. y Bonilla observed several objects passing in front of the solar disc. These objects were reported as being surrounded by a mist, looked dark against the solar disc, but bright outside of the disc. He took a photograph and published his findings in the magazine L'Astronomie in 1886. This photograph has had many interpretations, ranging from a flock of birds passing between the observer and the sun to the first photographic documentation of a UFO. Recently, researchers from the Universidad Autonoma de Mexico have come up with an alternate explanation. Hector Javier Durand Manterola, Maria de la Paz Ramos Lara, and Guadalupe Cordero hypothesize that what Bonilla observed in 1883 was a highly fragmented comet, in an approach almost flush to the surface of the Earth. According to their calculations, the distance from the Earth's surface to the objects was between 538 km (334.3 miles) and 8,062 km (5009.5 miles), and the mass of the object before fragmentation was between 0.002 and 8.19 times the mass of Halley's Comet. Fragmentation of comets has been observed recently, as in the case of the comet Schwassmann-Wachmann 3, which fragmented in 1995/1996, 2001, and 2006, as shown here. However, the report's claims have been questioned. 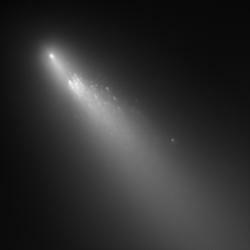 A comet breaking up so close to earth should have resulted in a meteor shower, and no astronomers detected one. 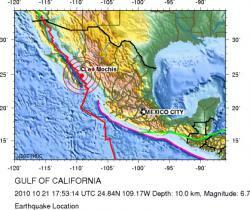 Mexico earthquake locationCourtesy USGSA fairly strong earthquake measuring 6.9 magnitude (6.7 according to the USGS Earthquake site) caused some panic but so far no reported injuries or major damage to population centers along the Gulf of California. The quake, which struck just before noon local time, was centered about 65 miles south of the coastal city of Los Mochis, and about 6 miles beneath the surface. Mayan murals prophesy gruel, tobacco, and delicious tamales. 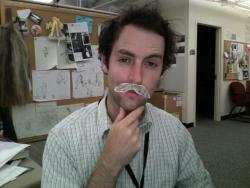 Strong 2012 implications. Calakmul: I'm not sure if this is the spaceport or the Institute for Marketable Prophesies.Courtesy J&amp;P VoelkelThe ancient Maya: keepers of arcane knowledge, masters of the celestial spheres, 7th century astronauts… prophesiers of DOOM! Yes, how the Maya knew what they knew remains a mystery to the arrogant forces of modern “science,” but we know that what they knew was totally awesome and sinister. Because, like, they carved it in stone and painted it on walls, and we all know that anything carved or painted on a wall is pretty much a sure thing. That’s how I know that for a good time I will call 555-5646, and why I’m certain that one day this will surely come to pass. And it’s why I’m sure that the world will end in 2012. I mean, sure, there are people who still follow many of the traditions of their Mayan ancestors, and they say that 2012 doomsday predictions are nonsense, and that they’re based on the willful misinterpretations of another culture’s beliefs and calendar system, but… those people are obviously ignoring the wisdom of the ancients. You know, the wisdom of the ancients? Recently excavated murals at the Mayan site of Calakmul are further enhancing our vision of these ancient, mystical people. The colorful murals, preserved on the covered wall of a built-over structure (the Maya sometimes added layers to older pyramids, creating a larger structure with a new face) apparently depict scenes of everyday Mayan life. It’s a unique discovery, because most of the imagery archaeologists uncover shows much grander stuff—royalty, and scenes from mythology. But this one just seems to show normal Mayan people doing normal stuff. Of course, the above statement has to be understood within the context of the popular understanding of the Maya. I mean, “normal stuff”? What’s normal for people who flew around in spaceships, predicting the end of the world? Let’s take a look, hmm? This part of the mural, at first glance, seems to show a man in a wide, sombrero-like hat dishing out ul, a traditional maize gruel, to another man, who is drinking it. Obviously things aren’t so simple as this. The wide hat? It’s no hat. That man is wearing a satellite dish, so that he can stay in contact with teams of Mayan astronaut-priests, as they divine the future from high orbit. And the drinking guy—yes, he’s drinking, but it’s not corn gruel. He’s drinking magic potion. The mural does have a hieroglyphic caption that says “maize-gruel person,” but that must be a type. The lords of destiny don’t eat. And they especially don’t eat corn. Here, we see the color version of the above image, as well as several other scenes of ancient Mayan life, including a man labeled “tobacco person,” who is holding a vessel full of what may be tobacco, or possibly Tobacco-brand ancient Mayan rocket fuel. There’s also the woman labeled “clay vessel person,” who may be holding a stack of clay vessels, or perhaps a stack of crystal balls, still in their brown paper wrappers. The murals also seem to show a woman making tamales, and a man eating them. But that’s just one interpretation. Another way to look at it might be, like, she’s making little pieces of the future. And he’s eating them. He could be eating the 2012 piece right there. The expression on his face may hold key information for us. It just shows to go you. Some people are going to look at this and think, “Hey, look, normal ancient Maya people doing normal stuff and wearing normal clothes. What a fascinating glimpse into the lives of a seldom-depicted portion of a long-passed society.” And they’re free to think this way, but they’ll have no excuse for acting all surprised in three years. Get rid of that lime! : It's making my diamonds all sticky and sour!Courtesy chrisngayle2001That’s right, y’all, I’m promoting the intentional misinterpretation of science! Tequila will make you rich (and therefore famous) because you can make diamonds out of it! Also, I hear that it makes you drunk. But the diamonds, those sparkly diamonds, that’s why we’re here. Assuming you’re over 21 (or that you have a super cool and criminally irresponsible older cousin), and assuming that you have the equipment for pulsed liquid injection chemical vapor deposition, you could be rolling in diamonds. Sure, the diamonds would be only a few ten millionths of a meter in size, but… diamonds! And now… let us back up. We aren’t talking about some glittery Cuervo version of Goldschlager. No, we are—happily—dealing with science here! See, some Mexican researchers were developing methods of producing diamond films out of organic compounds, e.g. acetone, methanol, and ethanol. They found that ethanol (the kind of alcohol we put into our bodies to make us happier, stronger, and smarter, and then sadder, weaker, and dumber) makes some pretty decent diamond films, especially when it’s mixed with water. About 40% ethanol and 60% water seemed to work best. A clever scientist then made an interesting connection in a liquor store before work: tequila is also about 40% ethanol and 60% water. This was sort of a remarkable development, as the sort of person who finds themselves in a liquor store before work isn’t necessarily the same sort of person expected to make clever scientific connections. Liquor store employees may be the exception here. At any rate, the scientist grabbed himself a cheap little bottle of white tequila and brought it to the lab. Said scientist and his fellow scientists then heated the liquor to 536 degrees (230 C) to transform it to a gas. The gas was then injected into a reaction chamber and further heated to 1470 degrees (800 C) to break down its molecular structure. The hot booze gas happened to have just the right mixture of hydrogen, oxygen, and carbon for diamond growth, and there was sort of a rain of tiny diamonds in the chamber. The diamonds, only a few hundred nanometers each (and, remember, a nanometer is one billionth of a meter), settled onto the trays at the bottom of the chamber to form a thin film. So we aren’t exactly talking about the sort of diamonds with which you could coat your grill (but, seriously, my front has got so much ice right now, I don’t think even nanoscale diamonds would fit, so whatev). Still, diamond films are nothing to be sneezed at—coating something with even a tiny layer of diamonds makes it extremely hard and heat-resistant. The scientists behind the project are hopeful that this technology could be applied to cutting tools, optical electronics, radiation detectors, and semiconductors within only a few years. 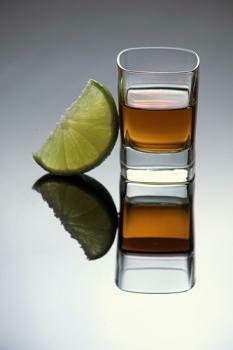 For now, however, they are busy testing out different types of tequilas. Which is exactly what I would do. Massive, powerful crystals in Mexican cave. Dungeonmasters… GO! 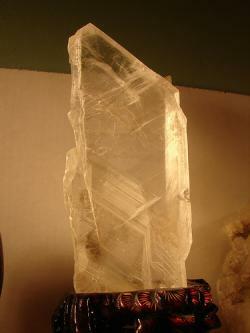 A gypsum crystal: This crystal, less than a foot tall, can still focus a tremendous amount of chi. Think about what a 36-footer could do!Courtesy Tjflex2You heard it here first, y’all (unless you heard it somewhere else first): there’s a cave 1000 feet below the Chihuahuan Desert in Mexico, full of crystals dozens of feet long, and thousands of pounds in weight. At least one of the crystals, made of gypsum, is 36 feet long, and weighs over 55 tons. Think of all the powerful spiritual energy there!